This big sweetie pie will never forget your birthday! 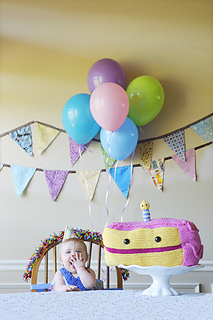 The cake is made by knitting a flat base and picking up stitches to knit the sides, then the back and top. I-cord embellishment makes those pretty frosting contours!